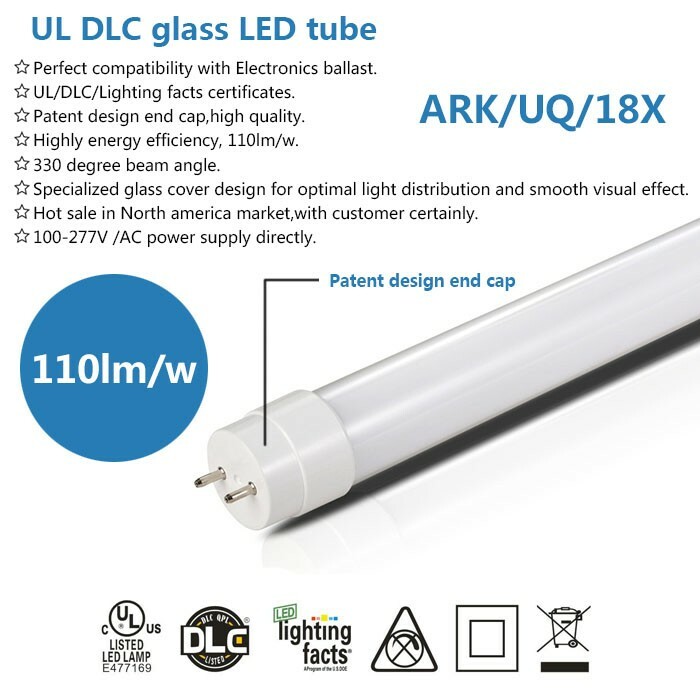 ARK Intelligent is one of the leading China ul dlc all glass t8 led tube 110lm/w plug and play manufacturers, welcome to wholesale high quality ul dlc all glass t8 led tube 110lm/w plug and play from our factory, and check products price with us. 25pcs/carton with foam,4 carton in one big carton. 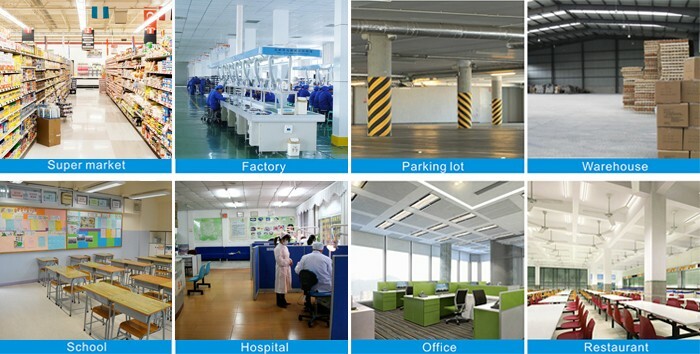 3.Directly replace fluorescent tubes, plug and play. 4.Direct wire to AC 100-277V power without ballast, even if ballast fails, ARK led tube still work well. Perfect compatibility with instant start Electronics ballast with no floating power . 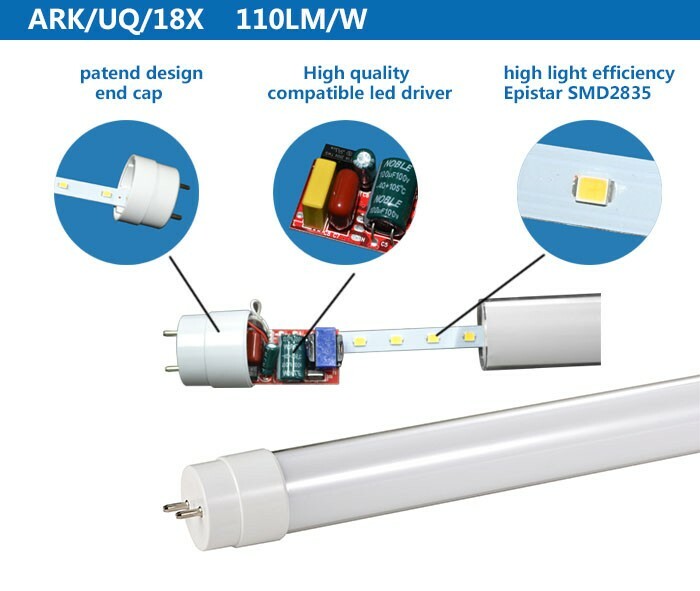 And D series LED tube can work well with single tube with Magnetic ballast. Specialized PC cover design for optimal light distribution and smooth visual effect. 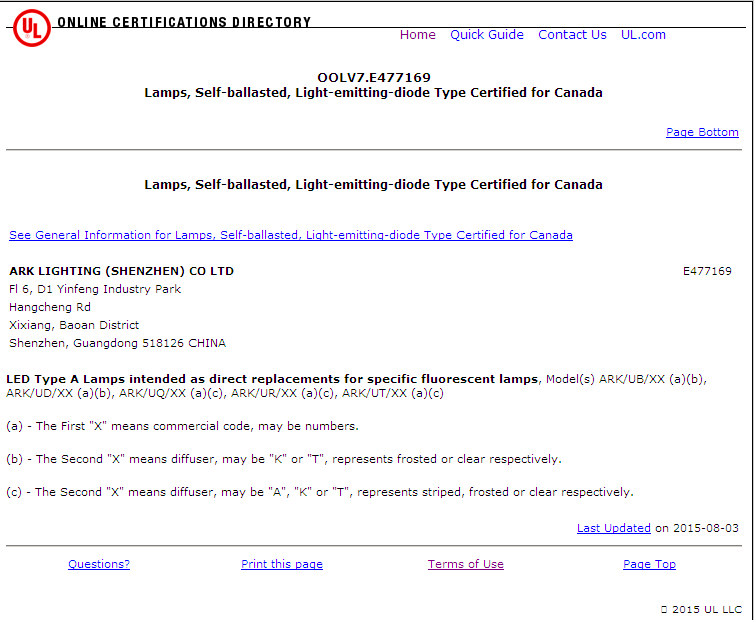 Highly energy efficiency, meet the requirement of ERP and DLC. 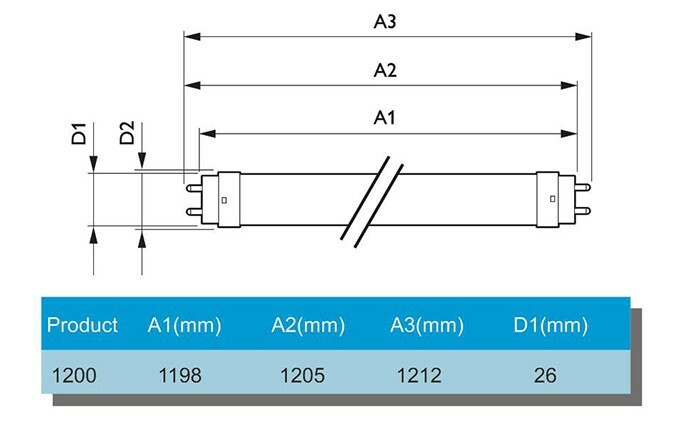 Power factor:same as ballast in use,usually>0.95. 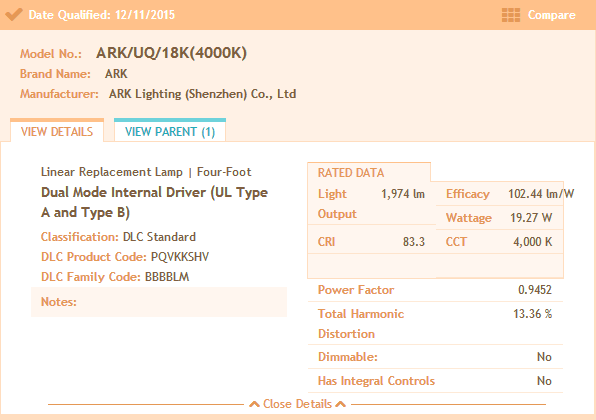 name ARK Lighting(shenzhen)co.,LTD to find it! 1. By Express: such as DHL, UPS, TNT, FEDEX etc. The dispatch time is about 3-5 days. 2. 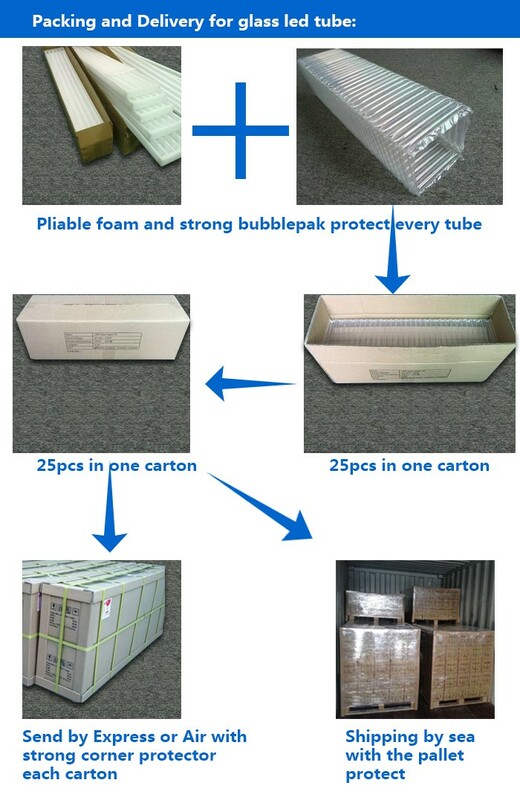 Air Freight: when your order more than 100kgs which will be more economical than express. 3. Sea Freight: we will update sea freight once we know your sea port where goods will be delivered.